Storm in June, the first part, tells the story of a handful Parisians who flee the city during the German invasion in 1940. Their escapes are chaotic and many families are split up on the road. The second part, Dolce, describes the everyday life in a small rural community after the ceasefire and the villagers are forced to have Germans living in their houses. 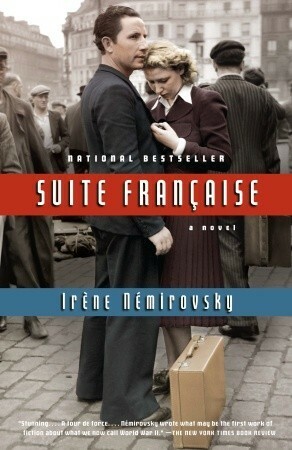 Irène never got to finish her book as she was deported to Auschwitz and died there in 1942. I couldn’t help wondering what a great book it could have been if she had been able to finish it. In the appendixes she describes the occupation and her plans for the book. Reading the first part was as chaotic as the chaos the characters felt when they fled from Paris. There were a lot of characters and I had problems with who was who. I definitely liked the second part better, and I found that I had time to reflect on the story yet the feeling that I was reading an unfinished work never went away. I liked Iréne’s style, and I have put the Wine of Solitude on my wish list because I want to read something that was published during her life time, along with a biography about her. I’m also questioning the need to put this unfinished work on the 1001 books you need to read before you die list as I don’t think it’s a masterpiece. This was the February read in Line’s 1001 books challenge.